This refers to the metal-metal distances in the element, as far as possible in environments in which the metal is 12-coordinate and at or near ambient temperatures. 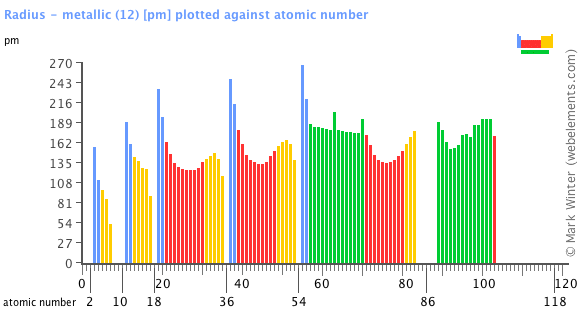 Image showing periodicity of the chemical elements for radius - metallic (12) in a bar chart. Some other data is taken direct from the primary literature.